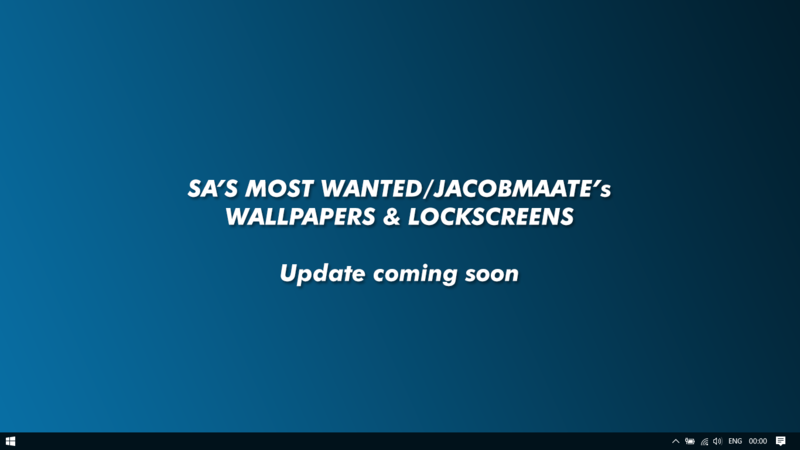 This topic is being updated - All previous wallpapers & lock screens are being updated. When the new set is out, you'll be able to use them as you please, and request for certain ones to be done, (eg: Requesting to have a BurgerShot one made) & to ask for edits, (eg: Requesting to change the colour of the background of a particular wallpaper). The new set will be more simplistic, but I will also make a bunch later down the line featuring some in-game photography to be used as the backgrounds if enough people ask for them instead of solid coloured/gradient backgrounds. The reason why I've removed the original post, and all others, and started fresh on here, was because first of all I didn't want to make another thread considering I already have this one, and secondly, because recently, I accidently deleted some of the original files, and so I figured I should just start all over again. This time round; I'll be making, even more wallpapers than before, (With a new selection of company logos to use, which I didnt use last time round, including some Rockstar ones, and some GTAO DLC Logo ones) I'm going to start off with desktop wallpapers, and later on, I'll move onto making the lockscreen backgrounds for smartphoes. With variations to each wallpaper (eg: black and white/coloured), and as stated above, you can request to have certain edits, to change the background colour should you want. Hopefully, this will be better than the original batch. So like I just said, just to reiterate, I'll be starting off with mostly simplistic ones, and I'll start off with desktop wallpapers, and later on, I'll make some with in-game photography as backgrounds instead of simple colours, and I'll develop mobile variants. Last of all, thanks to all the support I received in the past with the original set back in 2015, almost been 2 years now, and I look forward to getting a new set to you all, two years on! Can you make one for Facade? Jacob, off topic, but could you link me to where you got that HD Facade logo in color? Thanks! These are some nice wallpapers & lock screens. I like the ones that shows something from the game, like the one where you see Los Santos in the background or the one with the airplane taking off! Those 2 definitely got their seats on my phone. Are you planning on creating more wallpapers / lock screens? Thanks, actually I had planned on making an updated set a few months ago, but I never got round to making them. I would still like to make a new set, but If I do, I think I probably wont get round to finishing it for a while, but considering I was intitially planning on making more, and now that someone has mentioned it again after this thread going very quiet, I think I might just consider making some new ones indeed. can we have one for the lost MC?? Will be making an updated set of desktop wallpapers, (and later on, mobile wallpapers), for you all. Original set had 169 images; but this time round, I'll be making much more, with a wide range of GTA/Rockstar logos and variants of each wallpaper. Any idea on an updated ETA or Timeline? Can't wait to get these Backgrounds! You got any particular BGs you'd like? The iFruit Wallpapers would be neat too. Any news on these updates? Really looking forward to your work.